What happens when you are starving and seriously so hungry that you could eat a cow? d) I walk and explore patiently, believing that good food will come my way if I just practise patience and wait till my heart tells me this is the one. So which did you choose? did you go with option d? If you chose option d then we have something in common. Weird choice you might think but I have a rationale. 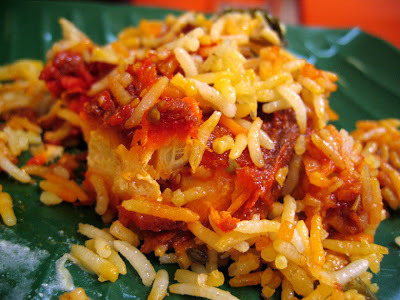 Good food is worth the walk; besides walking helps work up an appetite and heck, it’s healthy! I went for sunset mass at OLPS yesterday and was ravenous by the time it ended and it was about 8pm when JF and I started walking around the area searching for something delicious and substantial. 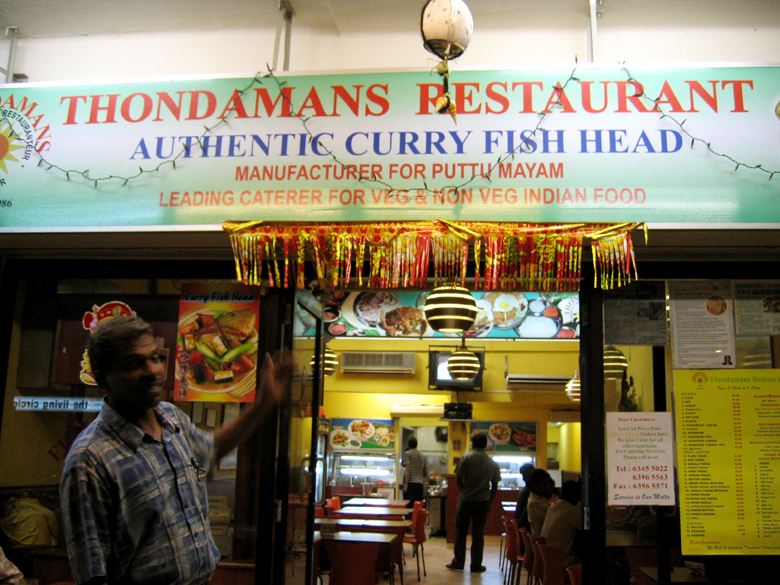 Just when I thought I had to settle for the usual rice with mixed vegetables, I spotted a large green sign that read “Thondamans Restaurant – Authentic Curry Fish Head”. I couldn’t take my eyes off the sign and started to suggest that we dine there. Blame it on my love for Indian food but I really can’t say no to curry! We walked closer and saw the menu – they sold thosai! I love eating thosai and have been wanting to eat some. Then the owner who was mopping the entrance told us to come in. We were checking out the menu (too intently i guess!) and he gestured us to come try the food, and promised that it will be cheap. We were sold. haha… well by then I had decided what to eat, so we entered the place. I wanted some meat, dhal and vegetable so we ordered mutton masala, snake gourd, dhal, and the usual thosai. The food was tasty and really up-to-standard. 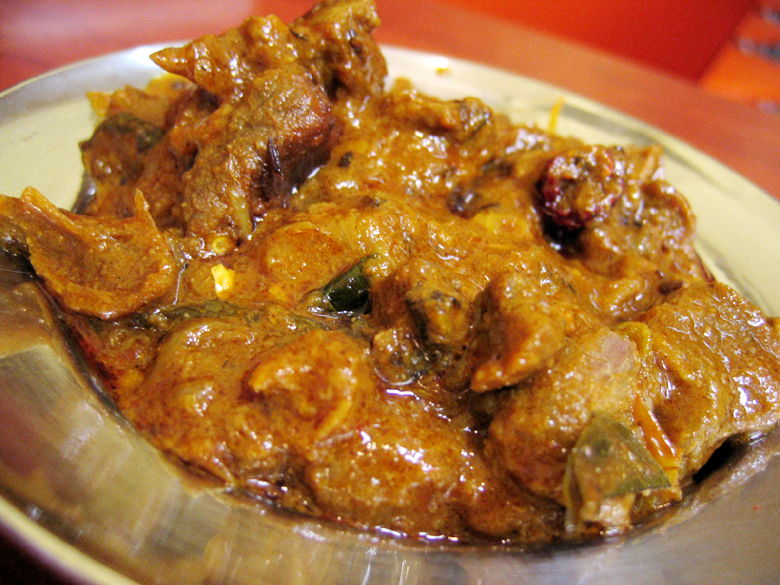 The mutton was so tender and the gravy thick and rich. I loved it. Even JF was impressed. 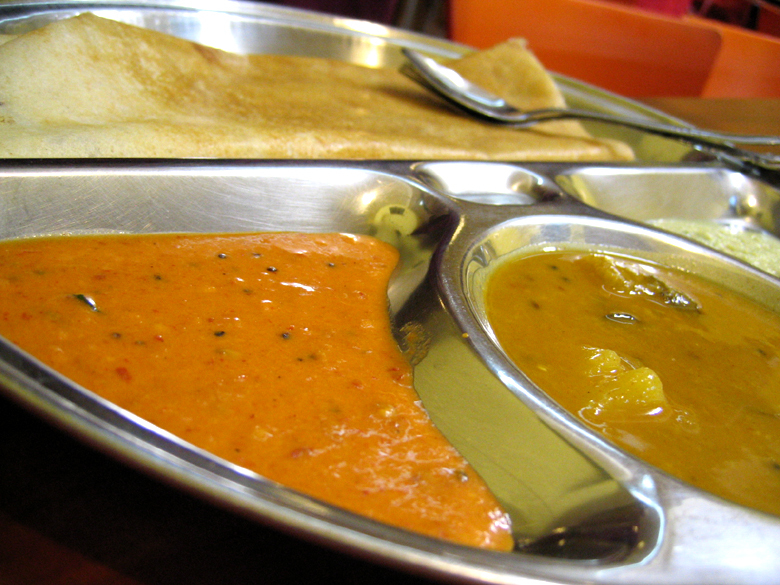 I couldn’t stop chowing down my thosai with the gravy, including the dips that came with the thosai. Everything was so fresh and yummy that I stopped talking for a while. 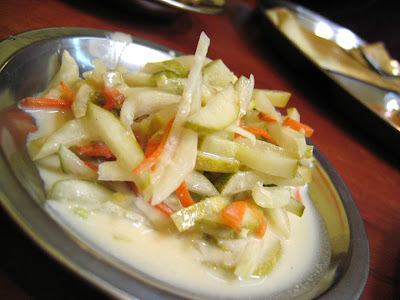 The raita was refreshing. I love anything with yoghurt. Midway, JF asked me if I was full (that’s his way of saying that he was still hungry) and I told him, sure, we’ll order more! That’s alot of rice! It came in a metal steel bowl and the fish was in the middle of the rice together with an egg. The set came with some pappadums together with more tasty curry. I liked the sambal fish although it tasted different from the usual sambal. There was more of a fresh chilli taste. 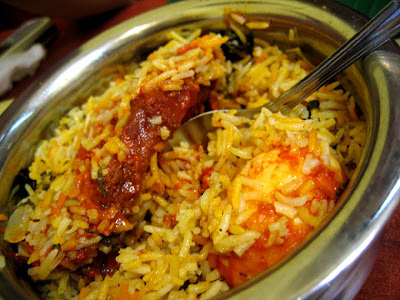 I loved the briyani; they cooked it really well with the right amount of spices and it was really fragrant. And I think the owner will be seeing more of me in time to come…. 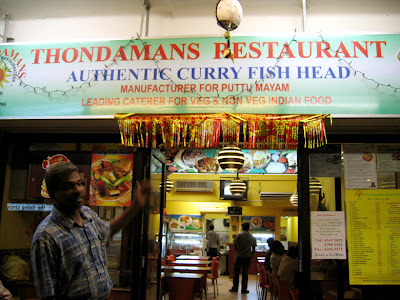 I still have to try their curry fish head. Okay, now I’m drooling… AGAIN! P.S. They do catering as well!